For many advertisers, when it comes to ad formats, bigger and bolder is better. And for good reason: many consumers are blind to ads, so to get their attention, ads really have to stand out. But as much as advertisers say they want new ad units that will stand out, they apparently aren’t impressed with the bigger and bolder units the Interactive Advertising Bureau (IAB) unveiled in 2011. Let’s make this the year of mobile again. No, really. 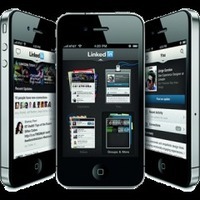 Though 2012 showed promise, it was clear that no brand had yet to create a compelling experience in the mobile space. The so-called ‘year of mobile’, almost a cliché at this point, turned out to be anything but.